All the time spent knee deep in * is showing progress. 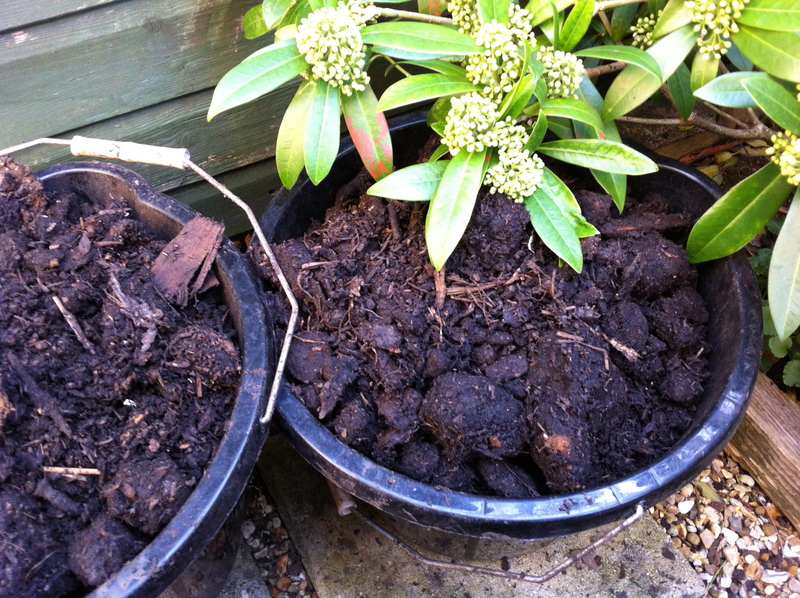 A while ago I managed to use up enough rotted manure to empty the green bin and less than two weeks later, I’ve now emptied the blue bin. To be honest all that together would easily fill another bin’s worth (and probably more). No doubt I’ll be able to use up some more in the borders but I think I’ll keep what’s in the tall sack for a later time. Dealing with all the manure and a full time job is hard work and I’ll be very glad to see the back of this little mulching project. i was using the katex thesis template and i have encountered some problem that is i could not add refrences to the thesis, when i write refrences in the bibliography and compile it it gives me empty page just having chapter head as bibliography. You need to compile the document through BibTex and LaTeX a few times each time you make an update. One isn’t enough to pick up the changes.